I had one of the best weekends I've had in a long time. But if you ask me why, I am not sure I can give you a sufficient answer. There wasn't a specific reason. Weird, right? Friday I found out a very close friend had a very awesome thing happening in her family. It's not my story to tell, so I can't explain more. But suffice to say that this story restored my faith in God. And on Saturday I was able to see their story in action. I volunteered Sunday morning with a group of JL friends. Which was a totally fun way to start my day. Had brunch with a few friends after that. Then went to visit Super Nice, who just had surgery. She's doing so well and healing nicely. It was fun to visit with her and another friend for a few hours. I also made a great dinner Sunday night. But really...nothing major happened to me. It was more that I had a series of lovely events and all were absent of drama. And every morning and evening, I got snuggles from that cute fur baby! The perfect way to start and end a day! On top of everything else, the Olympics started. I live for the Olympics. I suddenly become an expert on sports I know nothing about (yesterday I searched and searched until I became a self-proclaimed expert on Curling...which I am now convinced is my ticket to the next Winter Olympics). I know it must sound so boring but it really was such a perfectly wonderful weekend. Just lots of good energy floating around my little world. I feel so refreshed and renewed! How was your weekend? Did you do anything fun or exciting? Are you an Olympic watching fanatic too? What's your favorite sport to watch? 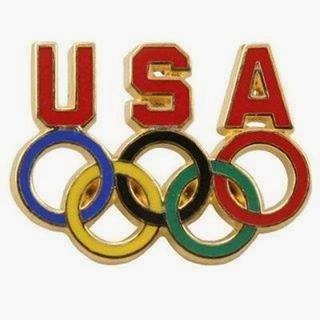 I've been loving your Olympic tweets, even when I'm not watching I feel up to date, haah! Also your pup is beautiful!